Ballistic Advantage Modern Series barrels feature precision-machined 4150 CMV steel, durable Nitride coating, and a Sub-MOA accuracy guarantee. 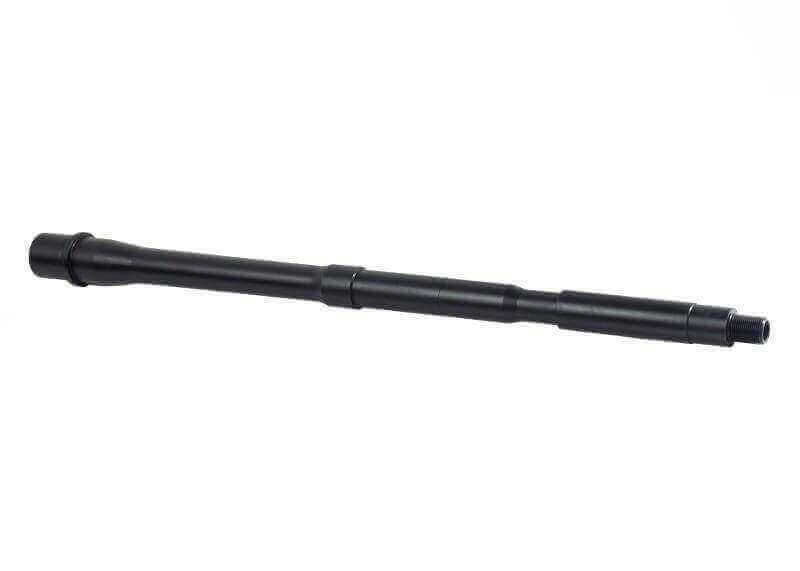 This 9mm chambered 16 inch Modern Series Barrel is machined from 4150 Chrome Moly Vanadium steel with a QPQ Corrosion Resistant Finish (Nitride) and 1/2×36 x .620 full profile threads. Ballistic Advantage manufactures quality AR barrels that exceed the most rigorous customer demands. These AR-15 barrels surpass the competition in accuracy, precision, and beautifully contoured aesthetics. Their engaged team of engineers and machinists continually innovate and improve design to enhance performance. From the popular 16″ AR barrels to all other lengths and styles, Ballistic Advantage barrels enhance any quality AR-15 build. From the moment you unwrap a Ballistic Advantage barrel, as you configure it with your receivers and handguards, and as you fire it on the range or in the field, you will experience the unique elegance and uncompromising quality crafted into every barrel. Buying a Ballistic Advantage barrel means guaranteed accuracy. All Ballistic Advantage barrels are guaranteed to give Sub-Minute-of-Angle (MOA) accuracy with match grade ammunition.